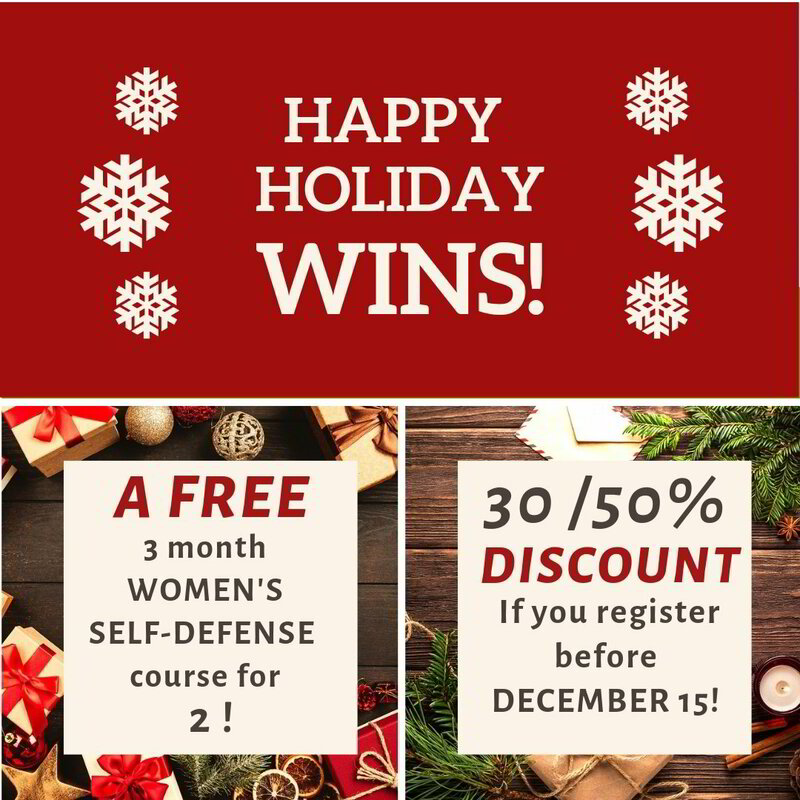 And get the chance of wiinning a 3 month Women's Self-Defense course for you and a friend! You can also give it as a Gift Certificate! If you win and want to make it into a gift certificate, simply email us and we will send it to you via email! tiltled HAPPY and write your name and email address! This option is also available for gift certificates! their name(s) and if you have a message you would like to add! 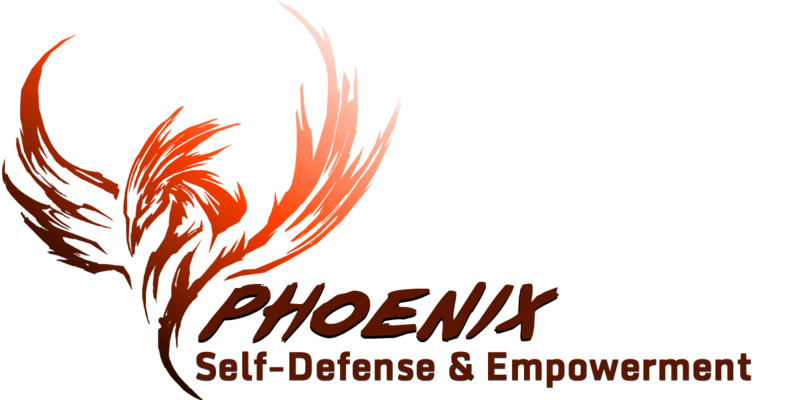 Just send us an email at phoenix@phoenixpwr.com with the program and discount you wish, your name (and that of your friend) and email(s) and we will send you an amount confirmation to send via Interac! The fees and Paypal buttons are below! 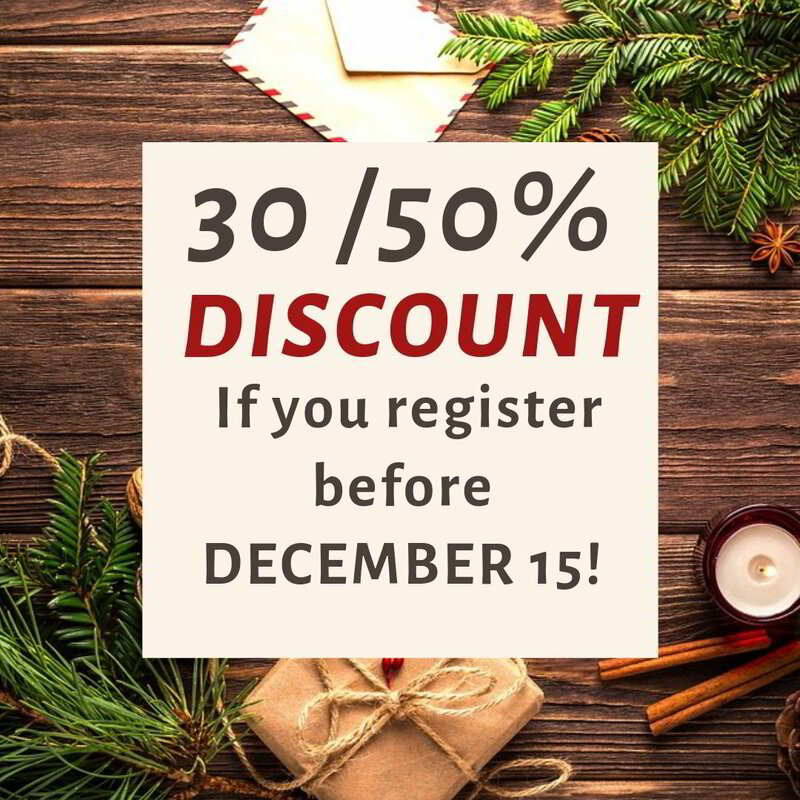 Register before December 15th, 2018! Your investment, in memberships, will be a maximun of $650+tx per year, which represents a $200 rebate! a minimum of 6 months of training is best. Our goal is to make that ideal accessible! And if she registers for a session, you both get 20% off your next session! 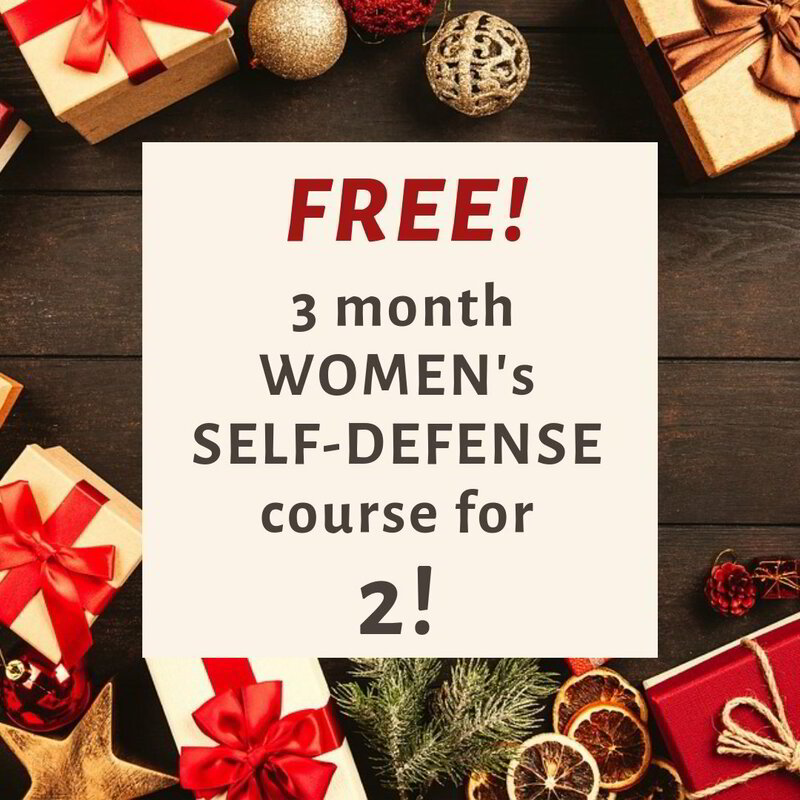 Simply click below to get all the information pertaining to these classes!